Four illustrated antisemitic posters with Russian texts. Russia, c. 1930s. 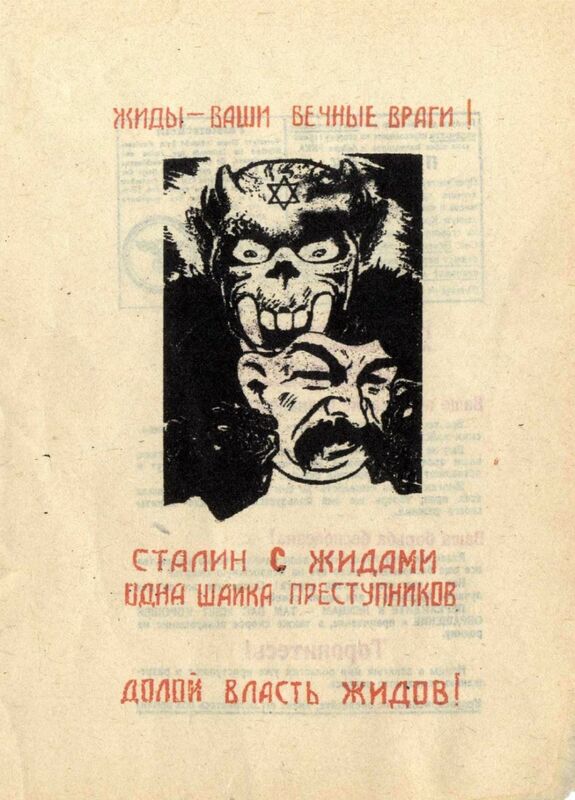 Includes: Poster with a Jew depicted as a monster with a star of David on his head, holding a Stalin look-alike mask. Poster of a Jewish character with a long nose, winking, within a star of David. A Jew plowing and a grotesque figure wailing underneath it. The back of the posters feature the emblem of the Nazi party. All the posters have antisemitic Russian texts. Identical size: 21x15 cm. Fine condition.